97% Positive Ratings on YouTube! There are different ways to measure the success of a YouTube music channel. Obviously, there is the overall view count. For popular music, these can be extremely high. For example, Marshmello's song "Happier" at the time of writing has over 214 million views on the Vevo YouTube channel. A folk music channel like mine will of course have far fewer views, being less mainstream. My most viewed video of all time is a tutorial on how to play "Whiskey in the Jar" on mandolin. It has around 955,000 views. I'm quite proud of how many of my videos have over 100,000 views: there are 6 at present. Another way to measure the success of the content, though, is the ratio of positive ratings to negative ones. Lots of people may watch the videos, but do they like what they see? I just crunched the numbers for my channel over the 11 or so years it's been running. My likes to dislikes percentage is 97%. The Marshmello "Happier" video has a roughly 98% approval percentage. I guess we're both doing all right. My approval rating took a hit on several of the Irish videos very clearly because viewers saw the name "Bard of Cornwall" and assumed I was from Cornwall, England (I'm from Cornwall, Canada). In other words, many dislikes seemed to be political in nature. But, then again, I have several videos with up to a hundred likes and not a single dislike. For example, "Black Is the Colour," now has 131 likes and no dislikes. That's pretty nice! Yet another way of measuring the success of a music channel is the subscriber count, of which I currently have over 22,000. Again, that's nothing to sneeze at for a traditional folk music, independent channel. I doubt I'll ever get a YouTube golden play button, though. So, what's the bottom line for my musical activities on YouTube? Overall, I'm quite pleased with the support I've received from the international community of folkies, and I don't plan to stop uploading folk songs anytime soon. Some of the lesser-known songs I upload get fewer views and likes, but that won't really affect what I upload. I always learn and upload songs that I like personally, and the viewer counts are an afterthought. Of course, I'm glad when people seem to like the music like I do. In the end, I do my channel for the pleasure of sharing folk music with others, not for money or fame, and even after a decade as a YouTuber, I'm still going strong. Thanks to all of you for your support! In May 2018 my YouTube music channel (click here for link) surpassed 20,000 subscribers. If you're not familiar with the difference between subscribers and views on YouTube, a view means that someone clicked the video, but a subscriber goes beyond that to ask for a notification when new videos are posted by the creator. So, to have reached 20,000 is a pretty big deal, and I'm quite proud of it. Of course, for more mainstream music channels, twenty thousand is small potatoes, but for traditional folk music, it's nothing to sneeze at. This post, however, isn't meant simply to brag about the number, but more importantly to thank those who have supported my channel over its decade of operation, and to emphasize that it's your support that largely keeps me going. I don't make a single penny directly from my YouTube channel. It's a labour of love, and to know that my videos have been watched over 7 million times and that over 20,000 people have liked them enough to subscribe really encourages me to continue the work of learning new songs, recording and posting them to share. I don't plan to stop anytime soon. So, if you enjoy my videos but haven't subscribed yet, please consider hitting that button. If you already have, thanks. And stay tuned for the next upload! I’ve never served in the Canadian armed forces, but I have several friends and family members who have. I’ve also come into contact with many who serve their country in my musical activities, both on YouTube and at live performances. What I’ve discovered is that there is a strong connection between service in the armed forces and traditional music. I’ve not done a scientific study, but from what I’ve seen a person’s participation in the military increases the likelihood that he or she will appreciate Celtic music. In fact, one of my annual gigs for the last few years has been at the St. Andrew’s Dinner for the local regiment, the SD&G Highlanders. They book me specifically to play Celtic music for their regimental dinner. 2. The armed forces place a great emphasis on tradition. From their flags and insignia, to their mottos and uniforms, the military often places a great importance on being part of a tradition. This also includes remembering and honouring the fallen. Part of this culture can include preserving old songs of war, and, more broadly, the body of traditional folk music to which they belong. Soldiers risk their lives for their country, and it seems that being part of a long and proud tradition can help them understand their role. Again, I’ve never served, but the theory seems to make sense. Military members may join a regiment and get their first exposure to these Celtic songs over a shared beer in company of those who will serve with them. Folk music can then become a living part of the traditions that they carry on. So, these are my theories as to the link between military service and Celtic/folk music. I’ve been grateful for the warm support I’ve received from veterans and active military folk both in person and online. If you’ve served and have some insight into this link, please do add your thoughts in the comments section. And thanks for your service! I almost missed my ten year anniversary of sharing music on YouTube. I happened to be looking at my analytics on the channel to see the number of times my videos had been viewed, and it dawned on me that the 10 year anniversary was in June of this year (2017). It seemed like an appropriate time to look back. I started my channel without much deliberation. I had been watching lots of videos on YouTube, including folk music ones, but I realized that there weren't many good versions for some of these great old songs. So, I decided to turn on my point-and-shoot digital camera while I played a song in my kitchen. That first song was "The Leaving of Liverpool," and I recorded it in the kitchen of my small apartment in Fredericton, New Brunswick, Canada. I was quite excited to see the number of views grow and grow on that one video, and I caught the YouTube 'bug.' At that point I had played gigs publicly for a few years, but YouTube offered the chance at an international audience. It could share my work and spread the enjoyment of traditional folk music night and day. This, I recognized, was a powerful tool for an artist. As the years went on, I continued to record and post my videos, and I haven't looked back. My production has slowed down somewhat in the last few years, which has likely hurt my fan base somewhat. The reasons were primarily family obligations and a new, more-demanding job. I also began recording some of my videos with more elaborate editing processes, which greatly increase the time required. But, I've got no intentions of stopping. I've greatly enjoyed sharing this musical tradition with people from around the globe, and your positive feedback is a big part of what keeps me motivated. I don't make any money directly from my channel, so it's largely a labour of love. My channel has now surpassed 6 million lifetime views, and I have over 17,000 subscribers--not too shabby! So, thanks to all of you for your support, and stay tuned. What Is Patreon, and Why Is Jesse Using it? Patreon is a website that allows fans of a creator (musician, artist, writer, etc.) to directly support the next project to be created. The creator makes a profile on Patreon, then invites fans to support through that site. Fans would sign up to become a patron of that creator, pledging any amount (usually $1) every time the creator shares a new piece. Why is Jesse Ferguson using Patreon? For over seven years now, I've been posting folk song videos on my YouTube channel, and have never enabled ads on the videos in order to make revenue. There are two main reasons: 1) I can't control what types of ads would appear, so there may be some that conflict with the spirit of the songs, and 2) more importantly, ads are annoying, and interfere with the creation of playlists. But, as my channel has grown in popularity (over 16,000 subscribers on last check), I've had the desire to improve the quality of the audio and video. Of course, to invest in that new equipment is very expensive, hence the turn to Patreon. Specifically, I'd like to raise the funds to buy professional video software like Sony Vegas and a proper video camera (a Canon Rebel, most likely). Of course not all viewers will want or be able to contribute in this way, and believe me I understand. Even if I don't make a dime through Patreon, I'll continue to post videos and share them with anyone who wants to listen. That said, there will likely be some incentives for Patrons, like the mp3 version of songs I record. So, if you'd like to support my folk music, please visit my Patreon page by clicking here. Ever since I started public performances as a musician, I’ve kept records on the details. I have a Word document, in which I list some basics like: the date, location, type of set (Celtic, classic rock, originals), whom I played with (if any), what I got paid and the contact person who booked me. Sometimes I also write down any other important details, like problems with the sound system, attendance, etc. These records help when I’m trying to remember where I’ve got contacts, and also to help me report my income to the tax man. Now, I’ve been playing gigs since my first year at university (2001), but I never sat down to count the number of public gigs until recently. As it turns out, my most recent gig—Apr. 7, 2017 at the Jet Set Pub in Cornwall, Ontario—was my 150th public performance. In that count I include my paid gigs, and any I did pro-bono for charity. I didn’t include any of my many times busking on the street for tips, which would likely bring the figure up to 200. 150 public performances is a good milestone at which to look back, and it certainly has been a varied and interesting 16 years. That’s roughly half of my life spent as a gigging musician, and I’ve performed in all three Canadian provinces where I’ve lived: Ontario, New Brunswick and Nova Scotia. I’ve performed in classy theatres, in the beer tents of Highland Games and other Celtic Festivals, at outdoor amphitheatres, coffee shops, farmers’ markets, weddings, funerals, pubs and restaurants. I’ve also had some regular gigs, occurring with at least monthly frequency: The Sour Grape Café in Oromocto, NB; The Auld Triangle in Sydney, NS; and more recently at The Jet Set Pub in my hometown of Cornwall, ON. These regular gigs have been great, as they allow me to focus on connecting with staff and patrons, rather than spending too much energy trying to hunt down new venues to play. So, what are my hopes for the next 16 years? Well, for one, I’m not planning to stop anytime soon. I really enjoy performing for others, which is important because the money alone isn’t enough to justify the many hours of practicing, promoting and getting to gigs. The money earned is nice and helps to cover the costs of the hobby, with a little left over for guilt-free spending money. But to keep going after 16 years there really must be a love for both music and for sharing it live with an audience. I’d love to branch out to other regions for performance, but for now the cost of travel and accommodations has really limited that possibility. In particular, I’d love to perform in the United States, but the cost of getting a performer’s visa and the tax hassles have stopped me from following up on the offers I’ve received. I’d also love to perform in Europe, but to make that viable I’d have to charge an enormous sum, which isn’t likely to be viable for a pub owner abroad. I think those plans will have to wait until I have the funds to make the trip on my own dime, and performing will be the icing on the cake. In conclusion, I’d like to thank all of the venues, booking agents, volunteers and fans who’ve supported me over this 16-year journey. In general, the people I’ve dealt with have been very supportive, and like me they see the cultural value of maintaining a live music scene, in spite of the sometimes small financial returns. I plan to keep going as long as they’ll have me, and I hope to meet more of my online friends and supporters in person during my next 150 performances. Jasmin Gorsuch, a researcher at the University of Edinburgh in the UK, contacted me a few months ago about a paper she was working on. The subject was the role of YouTube in the current global revival of folk song, with a particular focus on folk song from the United Kingdom. She had stumbled upon my YouTube channel, and asked if she could interview me about how YouTube fits into my personal music activities. I agreed, and she later shared the paper with me. 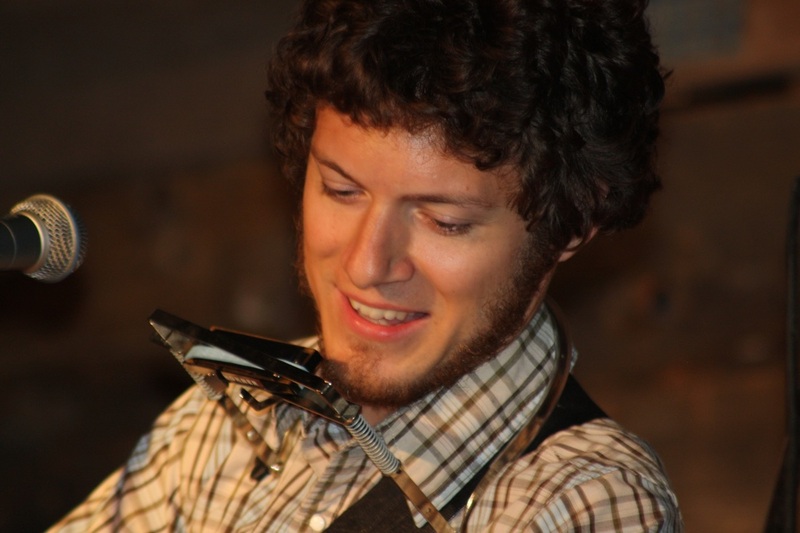 It provides a good overview of YouTube's impact on the folk scene: "youtube is anexcellent platform for promoting folk music, because in addition to its entertainment purpose, it also offers education, tips, and direct communication with the performer and their fans (or enemies), all at no cost" (Gorsuch, n.p.). Gorsuch plans to further her studies of the interrelationship of folk music and technology in her upcoming dissertation. You can read her entire essay by clicking the link below. Many thanks to Gorsuch for allowing me to post her work, and for including me in this paper. Resources like YouTube and podcasts are a great way for lovers of Celtic and folk music to form a community. When mainstream media only focuses on the flavour of the week, we folkies can now share our music independently. And certainly one of the biggest promoters of the indie Celtic scene is Marc Gunn, "The Celtfather." Perhaps the biggest compliment I can give the man is that the folk scene could use about 10 more of him. 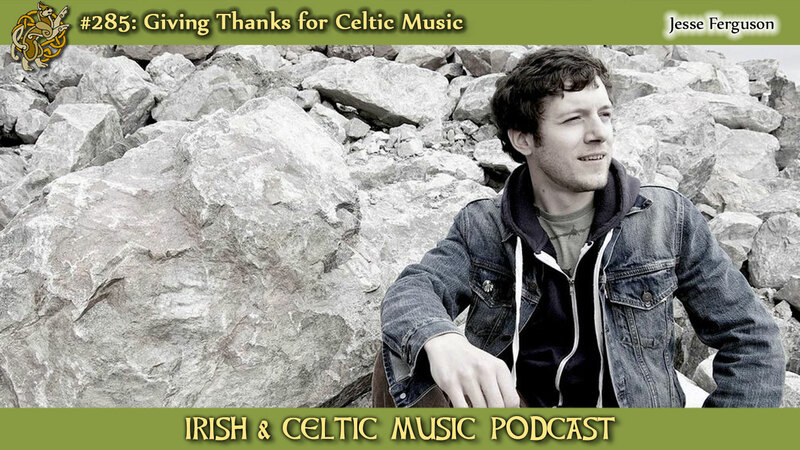 He's a Celtic musician himself, and a musical tour guide, but likely his biggest contribution to the Celtic scene is his podcast, The Irish & Celtic Music Podcast. The podcast is typically an hour long, and features Celtic/folk music in many different styles and by musicians from many countries. There's a lot of variety, and Marc's hosting is down-to-earth and warm. I may be a little biased, as the podcast has featured my music several times, but I can say that I was a fan of the podcast long before I ever sent any music to them for feature. So, I encourage you to check out the Podcast, either by searching its name on iTunes, or by following this link, where you can stream it for free. I'm sure you won't be disappointed! ​Like many musicians with regular day jobs, I’m forced to limit my number of performances during my busy times at work. I’ve been in the teaching profession for over a decade now, so summer is my off-season for work, but my peak season for performing. Not only can I manage more gigs in the summer months, but the types of venue also increase, allowing for some of my favourite gigs: festivals, fairs and outdoor music series. I really love when music and art can happen in the common places of a city. As a culture we tend to think of live music as belonging to certain places or times only, but I love to see music brought out from the dark corners of the pub and showcased on the street or in the public park. Some highlights for me have been the highland games that I’ve played in Maxville, Ontario, and in New Brunswick. I’ve also enjoyed playing in the live music series at Lamoureux Park in Cornwall, ON. So far this summer I’ll be playing at the Williamstown Fair on August 5, and at the Cornwall Music Fest on August 20. These types of outdoor events are the highlight of my music year, offering a chance for the whole community to come out for good food, drink and tunes. If you’re in the Cornwall area, I hope to see you at one of these events! Most contemporary music doesn’t deal with death. Except for the occasional country song lamenting a dead parent and some violent rap songs, most music on the radio today sticks to romantic love exclusively. Love songs are great, but there certainly are other aspects to life that are as universal, if not more so. Not everyone will experience romantic love, but everyone experiences death. The common defense of this exclusion of death from pop music is that it’s depressing. Maybe so. But, there’s an alternate perspective that stresses that art should help us learn about and explore our emotions, not only our positive ones. Maybe songs about death can take some of the shock out of it. They may also help us in the grieving process. It’s obvious that such songs can have different meaning for different people, and for the same individual in different moods. A subset of folk music about death is the murder ballad. Some sources identify this as a particular subgenre that came to prominence in the 19th century broadsheet tradition. That’s one way to look at it, but there certainly were earlier murder ballads. Common features are a description of the killer and victim, who were often lovers, followed by a description of the murder (often gruesomely specific), followed by repentance of the killer and/or a visit from the victim’s ghost. As a folk singer, I find these songs interesting, though I haven’t gone out of my way to learn them any more than other folk songs. I suspect the fact that they are so different from contemporary music draws me to them. So far I have posted two to my YouTube channel: “The River Saile” and “Tom Dooley,” and am in the process of learning “Banks of the Ohio.” It’s been interesting to see the comments of my viewers on these videos, as many seem to object to the murderous content. Some listeners assume that to sing a song means the singer endorses the actions or sentiments expressed in it, which for me isn’t the case. I often sing songs that have very little to do with the circumstances of my life, and sometimes from the perspective of women or from the perspective of villains. Many of the songs I sing are also very conservative in morality/perspective, since they are so old. They sometimes contain sexist and/or racist notions, but that doesn’t mean that I endorse those views. Instead, I think of these songs as a living record of European culture, including the good, the bad and the ugly. Murder and violence have always been part of human culture, and likely always will be. I think to ignore the folk songs that cover those subjects is unwise. I can see how some people would disagree, but the folk tradition is vast enough for different perspectives. As for myself, I will continue to sing the songs that appeal to me as pieces of art and history, without artificially selecting them for their correspondence to my own moral views.